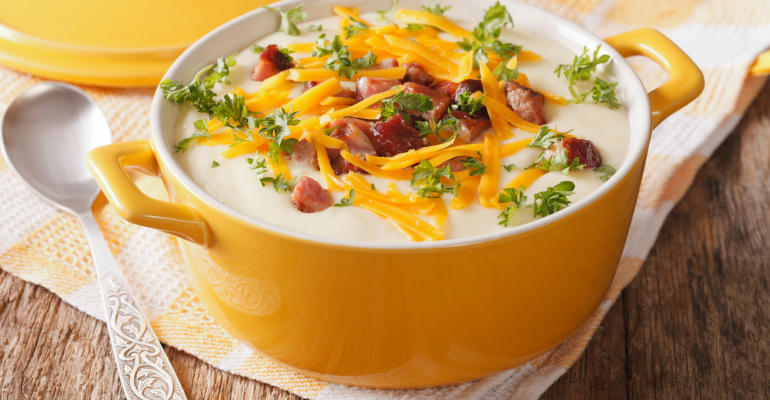 I remember the very first time I tried cheddar bacon soup, and this recipe reminds me of that delicious meal. The best part is that you can throw everything together and come back to a great smelling home in the evening. Recipes that come from friends are some of my favorites because I know they are tried and true and are totally worth a shot. Especially if these recipes come from my mom or grandma’s cookbook. Do you like family recipes? Add celery, onions, Little Potatoes and chicken broth into a 6 quart slow cooker. Once potatoes are fork tender, mash about half of the potatoes. 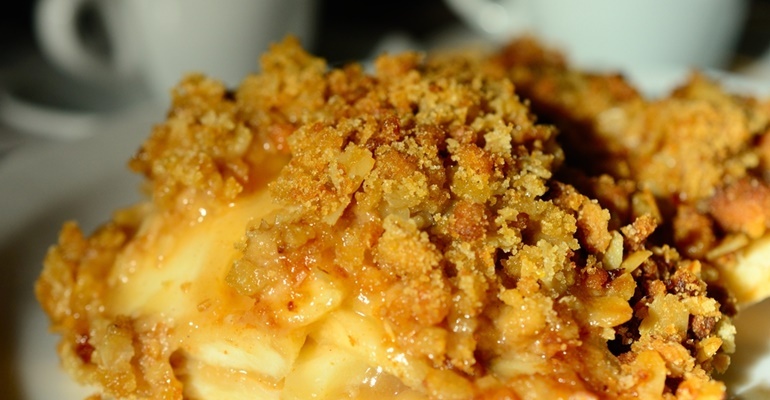 You’ll want to leave some chunky potato bits. In a large bowl, whisk together flour, ranch dressing mix and the contents of both cheese packets. Stir in sour cream and half and half. Finally, pour ranch mixture into the slow cooker. Stir well. Cover and heat for an additional 30 minutes. As potato soup finishes cooking, cook and crumble the bacon; shred the cheddar cheese and slice the green onions. Place all the toppings into separate bowls so everyone can serve themselves. Quick Tip: Chop up some chicken and throw in this soup for some protein and a heartier meal.